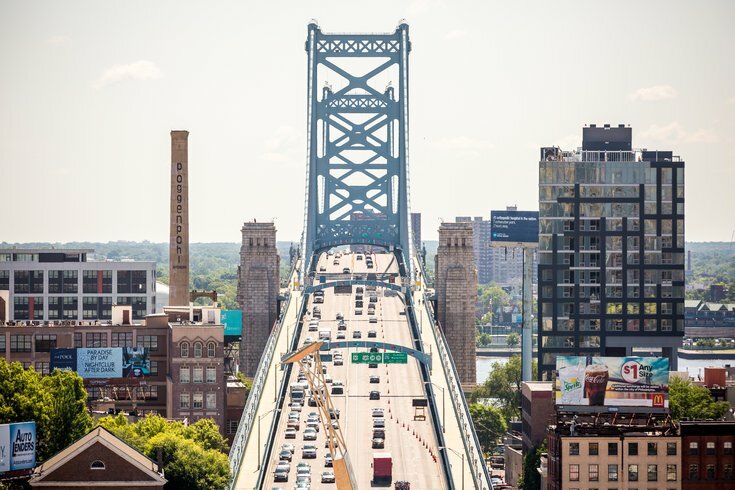 A proposal to build a bicycle and pedestrian ramp to the south walkway on the Ben Franklin Bridge awaits a full vote of the Delaware River Port Authority later this month. The authority's Operations and Maintenance Committee on Tuesday approved the $7.9 million project. If the full Board of Commissioners gives the green light on the project in an Aug. 16 meeting, crews from New Jersey contractor South State Construction would break ground this fall. A $3.8 million Federal Highway Administration grant and a $400,000 William Penn Foundation grant would partially fund the work. Port Authority officials say the 18-month project will make it far easier for bicyclists and walkers to access the south walkway on the Camden side of the bridge. People who take the walkway in Camden have to use a 25-foot stairway to get there. In a statement, the authority pointed out the stairway is challenging to climb for physically disabled or impaired pedestrians. Bicyclists also have to carry or push their bikes up or down using steel plates on the edge of the stairway, officials said. All bicycle and pedestrian traffic will be diverted to the north walkway during construction. Officials expect to complete the work by the spring of 2019.